Luxury / lux – u – ry / (n.) 1. The state of great comfort and extravagant living. Once defined as exclusive, extravagant, expensive and elite, the word luxury has somewhat lost its luster as of late. In an age of instant gratification, unbounded accessibility and limitless customization, the definition has since shifted; with Private Drivers available to anyone with a smartphone, prestigious “luxury brands” in nearly every closet, handheld portals to every corner of the globe, and clientele that are more informed than ever. Over the course of two opulence-filled days – including six Keynotes, 22 In-Showroom Programs, one Special Event, four Cocktail Receptions, 14 NEW Experiential Events and 118 Open Houses – guests will discover the new look and meaning of luxury through the lens of design. Join industry-leading showrooms of the DDB on a journey through the extraordinary palatial spaces and uncapped design innovation that continue to realize new heights of luxury living. In an era of everyday opulence, the concept of living luxuriously deserves a reboot. Join House Beautiful Editor in Chief Sophie Donelson, New York designers Anne Maxwell Foster and Suysel dePedro Cunningham of Tilton Fenwick, and LA designer David Netto as they discuss what’s worth the money — i.e. where to make a case for a budget line – and where ingenuity, not resources, can deliver clients superb quality of life that keeps them clamoring for more. 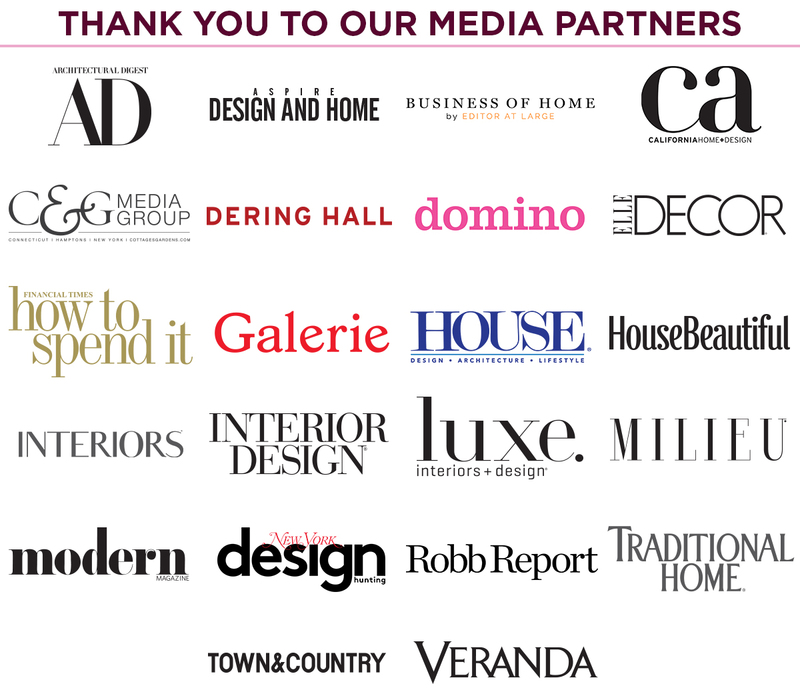 Kravet Inc. is celebrating 100 years in the home and design business with the launch of a new book, “Inspired Design: The 100 Most Important Interior Designers of the Past 100 Years,” published by Vendome Press. Looking back at the last 100 years of design, Town & Country Editor in Chief Stellene Volandes hosts a discussion with renowned designer Kelly Wearstler to discover what is propelling the next century of Inspired Design as the luxury industry continues its evolution. Join Brittany Chevalier McIntyre, Executive Editor, Luxe Interiors + Design and influential designers Juan Montoya, Ryan Korban and Alicia Cannon for an engaging conversation on creating and conveying luxury in the retail, hospitality and restaurant realms. 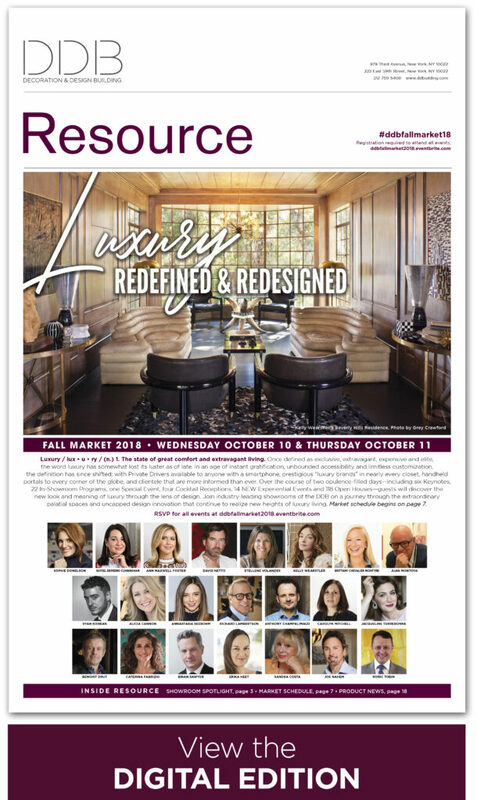 The intersection of brand identity, impeccable vision and innovative materials are paramount to executing an overall concept, and these talented designers will discuss their successes and insights in designing some of the most decadent lifestyle spaces that transcend time and place. The very nature of luxury is indescribable, yet undeniable. From experiences and services to products and places, the luxuriousness is palpable when expertly executed. Join media sponsor Financial Times “How To Spend It” and the Global CEO of Quintessentially, a luxury lifestyle management concierge and service company, Annastasia Seebohm as she leads a panel of connoisseurs in discussing the tangible and intangible facets of luxury across the luxury goods, award-winning hospitality and high-end design industries. Richard Lambertson, Founder of leather accessory brand Lambertson Truex, acquired by Tiffany & Co. in 2009; Anthony Champalimaud, Owner of the Troutbeck Hotel; and Carolyn Mitchell, the Group Contract Director for Style Library will share insights on how they achieve the indefinable. Please join Jacqueline Terrebonne, Editor in Chief, Galerie magazine, Benoist Drut, Partner, Maison Gerard, Brian Sawyer, Partner, Sawyer | Berson, and Caterina Fabrizio, Co-Owner, Dedar, for an intimate discussion about the custom luxuries that elevate the home from the simply beautiful to the utterly exceptional. 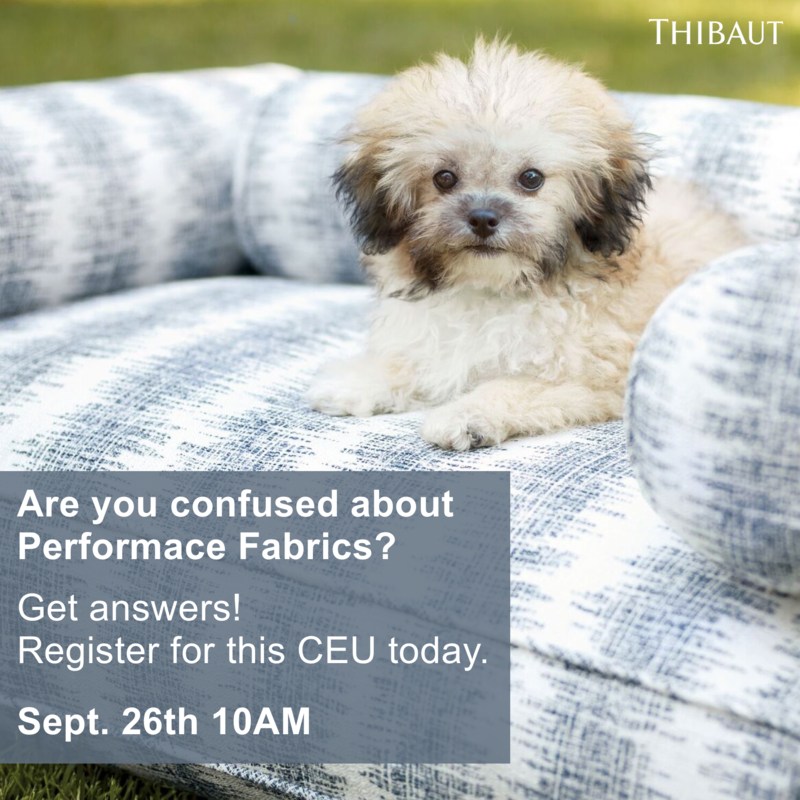 They’ll trade secrets on the fine fabrics, unique furniture pieces, and other one-of-a-kind designs that make projects unforgettable and will also explore the artisanal techniques having a renaissance now. Join Interiors Editor-in-Chief Erika Heet for a lively chat and visual journey with esteemed designers and world travelers Joe Nahem of Fox-Nahem, Roric Tobin of Bradfield & Tobin, and Sandra Costa of Sandra Costa Design Group on cross-cultural influences and luxury design in a globalized world. The panelists will bring unique perspectives from their extensive experience navigating residential and commercial design in many diverse countries, free from borders or barriers, and share insights on their quests to seek the true meaning of luxury in cultures both far and near. Panel discussion 4:00 to 5:00 PM. Holiday House: Ten Years Designing for a Cure Book Signing Reception with Iris Dankner to follow 5:00 to 7:00 PM. These days, the concept of “luxury” is increasingly impossible to identify. The influence of the digital Information Age has resulted in widespread dilution of the previously sacred category of products, places, and experiences. Over the course of two days comprised of 22 In-Showroom Programs, one Special Event, and four Cocktail Receptions, the industry-leading brand of the DDB, along with the top Editorial voices and “luxury” experts, will seek to bring to light the new standard of luxury, what it means to the next generation and what it looks like in today’s all-access world. Introducing, a new facet of DDB Market… Experiential Events. 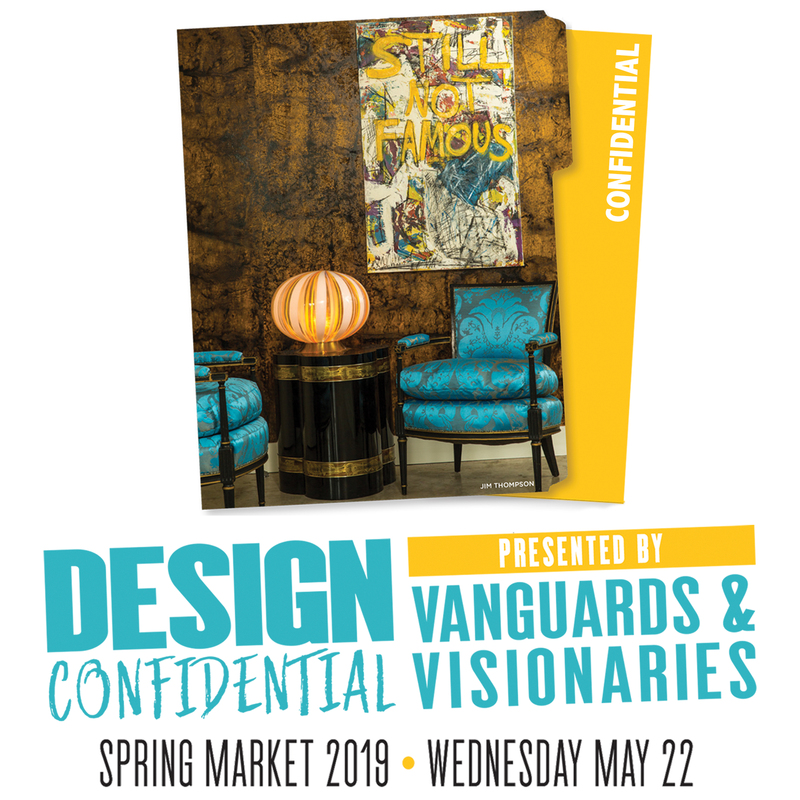 With the theme of Market resonating broadly across our luxurious design center, many brands opt to forgo the opportunity to present their new collections and engage with their clients in favor of adopting the topic and joining the design conversation. In an effort to bring Market back to its roots, the showrooms of the DDB invite you to their space to experience something new, engage with their product offerings and take away a memorable experience. Stop by throughout the two days during their designated times to immerse yourself in a unique design experience.